On Tuesday, United Airlines announced the introduction of its new “Basic Economy” service designed to take on growing competition from low-cost carriers. While the prospect of cheaper flights with United is certainly enticing, the low cost comes with a price. Basic Economy ticket holders will not be allowed to bring aboard a carry-on bag unless the passenger is “a Premier member, primary cardmember of a qualifying MileagePlus credit card, or a Star Alliance Gold member,” the airline said. 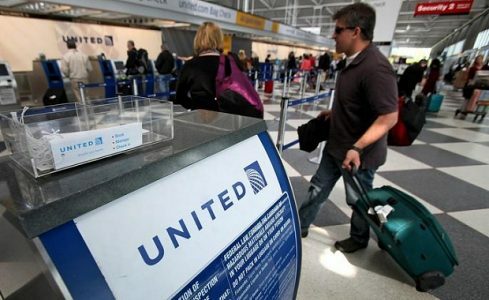 Instead, United will limit Basic Economy passengers to just a personal item, such as a shoulder bag, backpack, laptop bag or other small item that is 9 inches x 10 inches x 17 inches or less. In addition, Basic Economy passengers will not be allowed to preselect seating, make changes to their tickets after purchasing them, or upgrade to higher ticket classes. Further, Basic Economy passengers who are not members of one of the rewards groups mentioned above will be the last passengers allowed to board the aircraft. To read more at Business Insider, click here.